Small and Medium-sized Enterprises (SMEs) are the backbone of the European economy and represent sectors with huge potential for innovation, growth and increased employment. 13 partners and 8 associated partners collaborate across 5 European countries to improve counselling for owner-managers. The project has 36 months to fulfil its aims. The project runs from October 2017 to September 2020. SNOwMan has a total budget of €2,085,850.00- €1,631,588.00 of which has been allocated by Interreg Baltic Sea Region. Approximately two million SMEs in the EU are manufacturing SMEs – constituting around 10 percent of all SMEs in the EU. Target group: owner-managed manufacturing SMEs with 5 to 50 employees. 148 owner-managed SMEs will receive non-financial support as part of the project development and testing. 68 SMEs will cooperate with Higher Education Institutions in the creation of the counselling tools. The main output is a counselling toolbox that will contain 4 elements including a 6-step counselling process concept and a spider web tool. The SNOwMan project focuses on SMEs, which are both owned and managed by the same person. To unleash the full potential and achieve growth, it can be useful to engage in counselling with business intermediaries. Unfortunately, the existent professional tools are not suitable for the owner-managers’ needs, thereby making it difficult to find common ground in the counselling process. Based on this, the mission of SNOwMan is to develop tools that ease the cooperation between SME owner-managers and business intermediaries. By developing a counselling toolbox, it is hoped business intermediaries will have a better premise when counselling owner-managers. The counselling toolbox will contain. The 6-step counselling process starts with an introduction where the owner-manager and business intermediary establish a respectful and trustful relationship. At this stage, the intermediary will interview the owner-manager to explore the potential of the cooperation/counselling. The next step will be to uncover the owner-manager’s visions for the company and identify the challenges faced by the company. Once the challenges have been identified, the intermediary and owner-manager will draw up a strategy and action plan for the company. Lastly, the outcome of the strategy and action plan will be measured and evaluated using the decided methods and indicators. The spider web tool will be integrated into the identification of challenges. The tool will be used to identify and graduate the 8 most significant challenges faced by the owner-manager. Both tools will be supported by instruction guidelines on how to use them. The Project Steering Committee (PSC) is the highest authority of the project. The PSC has the overall responsibility of the project and must ensure that the project goes according to plan. The PSC will meet five times during the project period. Both Higher Educational Institutions and Business Support Organisations are represented in the PSC. 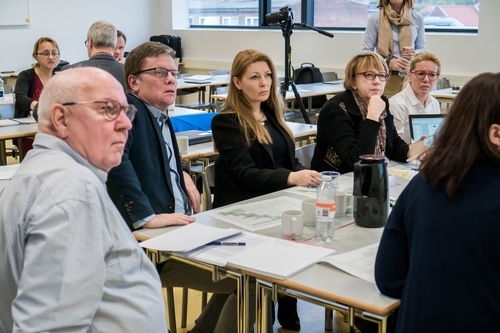 Minttu Lampinen, Häme University of Applied Sciences Ltd.
On a day-to-day basis, it is the Project Management Team (PMT) that is responsible for monitoring the progress of the outputs, resources and time. 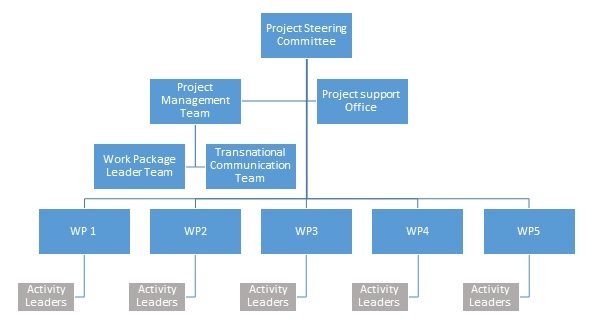 Each work package is led by a WP leader, who has the overall responsibility of the WP while each activity in the WP also has an activity leader. On 12-13 March SNOwMan project partners and associated organizations from Finland, Poland, Lithuania and Denmark gathered together at the Häme University of Applied Sciences (HAMK) in Finland. 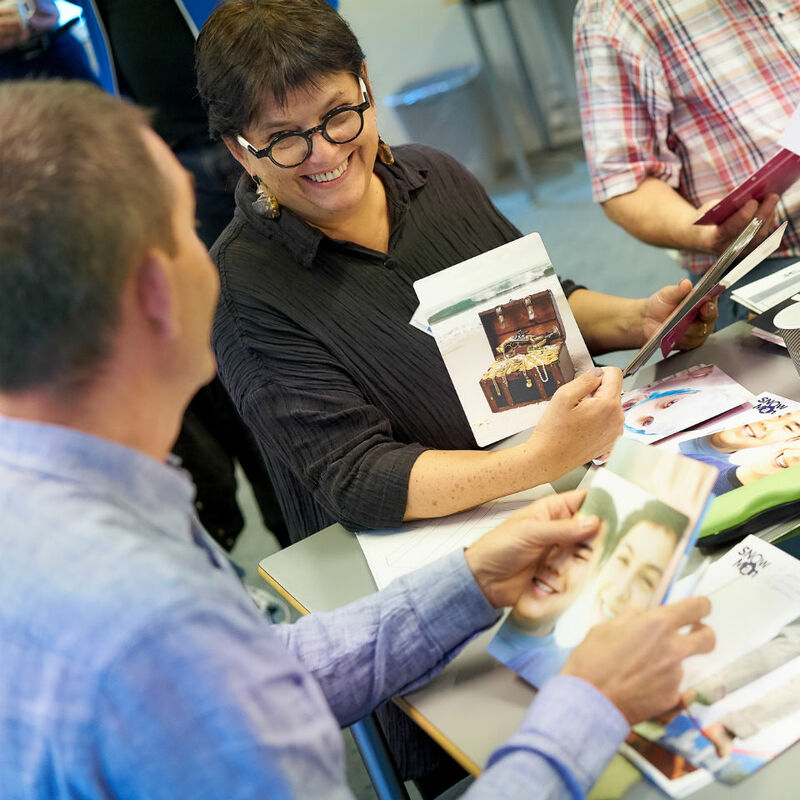 As part of the SNOwMan project, intermediaries together with higher educational institutions in Finland, Poland, Lithuania and Denmark conducted the first test workshops. Approximately 20 owner-managers were participating in the individually held workshops from five different countries. In addition, one intermediary (from another organization) and one HEI representative observed the session. The purpose of the first test workshop was to receive feedback on the concept and functionality of tools in the counselling toolbox. 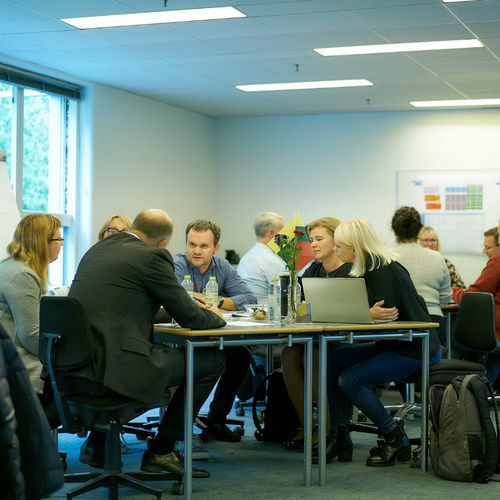 The SNOwMan project invites selected owner-managers of manufacturing SMEs to a two day co-creative production workshop with networking and cooperation. 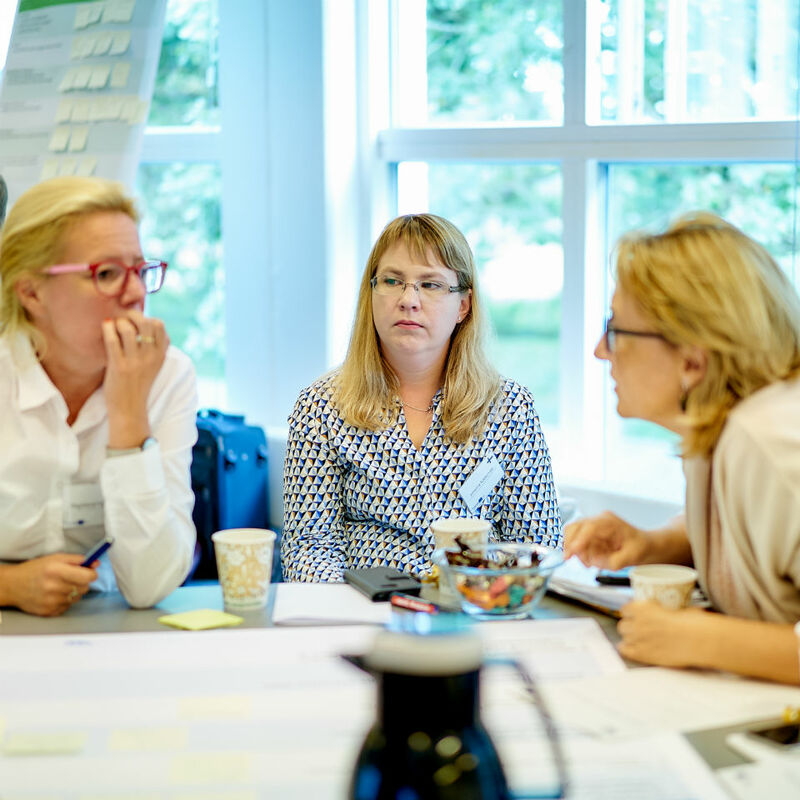 The workshop will take place in Denmark at VIA University College in Herning on September 11 and 12, 2018. The SNOwMan project has conducted a survey among 159 intermediaries from 10 European countries. The results identify shortcomings, best practices, and the potentials of cooperation between intermediaries and owner-managed SMEs. As part of the SNOwMan project, higher educational institutions in Finland, Poland, Lithuania and Denmark have conducted interviews with approximately 80 owner-managers of SMEs to map their biggest challenges and get their perspective on what makes good counselling. Based on the data from the surveys and the co-creative workshop, the project is currently developing a prototype of the counselling process. The process will be tested in two test rounds. One as a simulated counselling session and the other in a semi-authentic set-up with an improved counselling process, refined after the first test round. The first test round will be held during the next couple of months and evaluated at the midterm conference. 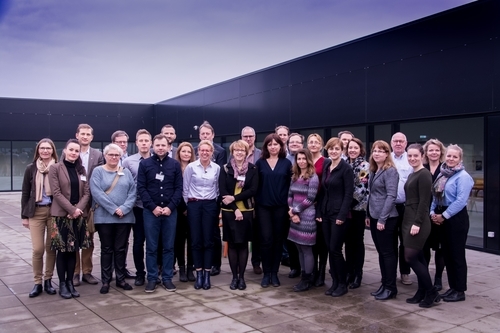 The project kick-off for SNOwMan was held over 2 days at VIA University College in Aarhus in November 2017. The kick-off was attended by all 13 partners and was the first time the SNOwMan partnership all met in person. After an introductory lunch, the Dean of VIA School of Business, Technology and Creative Industries, Konstantin Lassithiotakis and the project manager of SNOwMan, Susan Dalum bid welcome, and all the participants were introduced. Afterwards, the keynote speaker Carsten Steno gave an interesting presentation on owner-managed SME’s and the challenges they face. The rest of the day was spent on the responsibilities, activities and budget of the project and on the important communication strategy and activities. After a productive and informative day, the partnership joined for dinner at Restaurant MellemRum in Aarhus. First on the agenda on the second day was a presentation on administrative routines of the Interreg Baltic Sea Region. Afterwards, two parallel tracks respectively dealt with preliminary work in the work packages and with the administrative and financial procedures in SNOwMan. Last on the agenda was “next step”. Here all participants joined in a fruitful discussion about the first actions, meetings and reporting in the project. 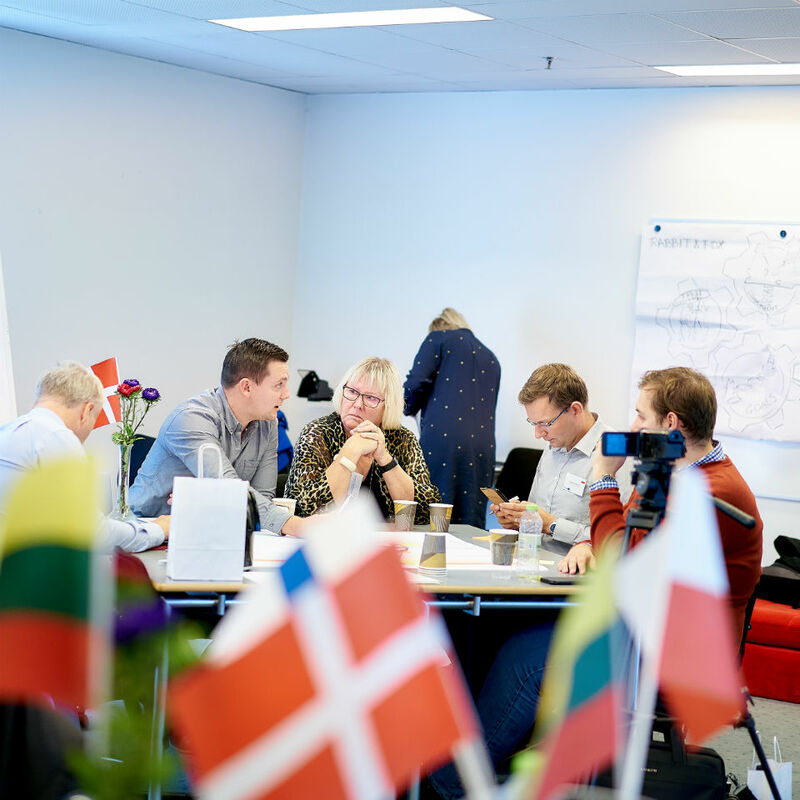 The two days in Aarhus did not only provide the partnership with essential information, but also ensured common understanding and valuable networking across borders. On April 17, 2018, SNOwMAN Project Management Team met for the first time in Gdansk to review the overall progress of the project, communication, activities, resources and timeschedules. The meeting was especially focused on the first coming activities such as the online survey, interviews and co-creative workshop. During the meeting, the participants got a taste of video making with smartphones and editing to encourage partners to document activities through videos. The meeting finished with a work session where the methodology was discussed with focus on quality assurance and risk management. During the session, the participants debated the survey for business intermediaries and interviews with owner-managers, especially in regard to the premises and considerations to take when interviewing owner-managers. Lastly, the co-creative workshop that will take place in September 2018 was discussed. To get a real perspective on the challenges related to the current counselling practice the SNOwMan project are gathering responses directly from both owner-managers and business intermediaries. Both surveys will ask for critical observations and recommendations from the respondants. Approximately 100 business intermediaries from each country (a 50% responserate is expected) will participate in the online survey about their experiences with counselling owner-managed SMEs. The survey seek to gather experiences, best practices and potentials for intermediaries to coach their owner-managed SME members. The online survey aims to establish the relationship between member companies, their understading of innovations along with their qualification to provide support for non-technological innovations. Furthermore, it will also focus on the ability to act as a mediator between member companies and R&D institutions and which methods they already apply. 20 owner-managers from each partner country are being interviewed about the challenges they are facing and which kind of counselling process they find optimal. The aim of the individual interviews is to collect information and personal experiences by letting the owner-managers tell their own stories. It is the hope to get insight into the SMEs knowlegde about non-technological innovation, their willingness to use non-technological innovation and when coming to it, the needs for it. Moreover, to learn about their existing cooperation and what kind of support they expect from busniess intermediaries. The survey and interviews should all be finished and collected by the end of June. 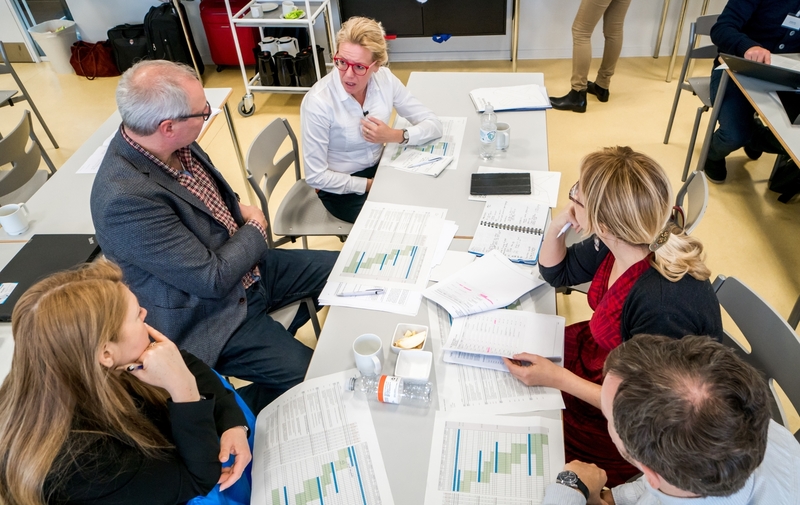 They will help identify the highest prioritized challenges for both intermediaries and owner-managers and as a result they will be used in the development of the prototype counselling toolbox. During the workshop owner-managers, business intermediaries and educational institutions will work together to indentify the challenges SMEs faces today. 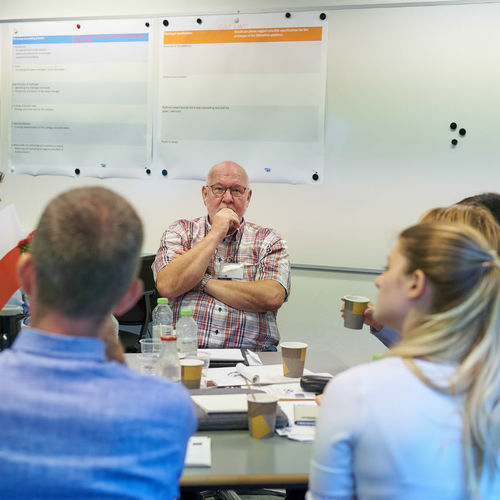 The participants will be part of a cooperative innovation process and learn more about how to use this method to create growth for the owner-mangers' businesses. 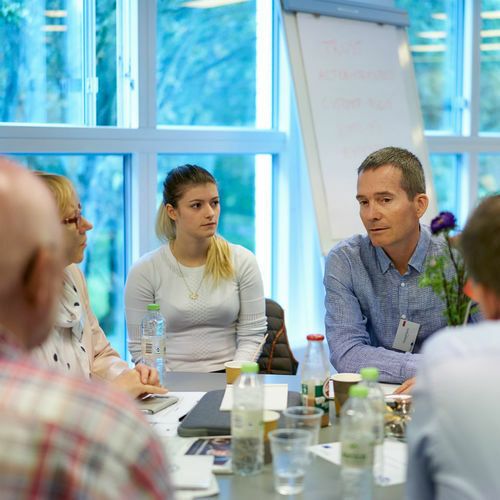 The owner-managers will have the opportunity to network with other owner-managers and business intermediaries targeted the situation their business are in and get new inspiration for their own innovation. 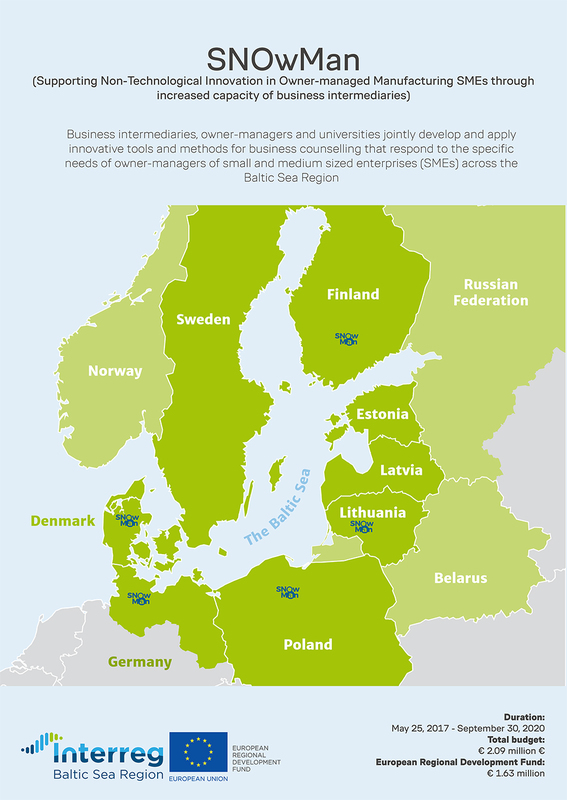 The SNOwMan project has 13 partners across the Baltic Sea Region in Germany, Poland, Finland, Lithuania and Denmark. It is funded by Interreg Baltic Sea Region and the European Regional Development Fund.